Our goal is not only to make good and valid lab reports, but to win you by our service. We are convinced that personal communication between client and the laboratory is very much significant for successful treatment. We offer you the ability to access lab results and request laboratory tests online. Even if you visit your patients in the fields you can see the laboratory data of your patients via a secure connection using a smartphone. All laboratory parameters including additional information on the pre-analysis can be downloaded as a smartphone app (only German language currently ). In order to transfer the lab results to your own IT-system we do provide VPN hard- and software to you. 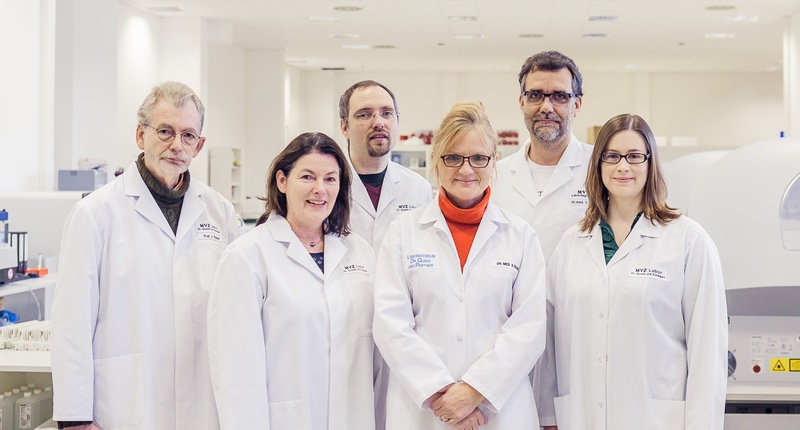 Due to our extended accreditation according to CAP/CLIA and the German authorities DAKKS we do lab testing for institutions that are handling with blood and stemmcell products. Our clients count on our know-how regarding normal lab assays up to emergency labs on phase-Ia studies.